Nigel Wadsworth is 39, from Clowne, in Derbyshire and has recently enjoyed getting back into Badminton after years away from the sport. 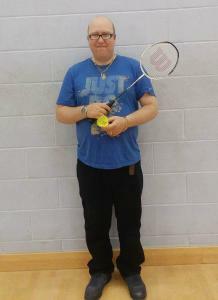 Nigel plays at the weekly No Strings Badminton session at Clowne Sport Centre that takes place on Sundays from 11am to 12.30pm. No Strings Badminton is a low cost way for adults to play Badminton in a relaxed, social environment. It allows people to play on a pay per session basis at their local leisure centre. "I played when I was at school (Harworth North Border Comprehensive), but I've not played since leaving school at 16 and starting again at Clowne when I was 38." 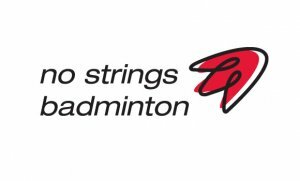 How did you find out about No Strings Badminton? "I found a flyer in the staff support room." Have you made new friends? "Yes loads and they all say really nice things like how good I am; everyone is nice and funny at No Strings Badminton in Clowne." "The adrenaline rush that you get from playing, I like to be competitive and run up and down the court; I really like playing doubles. "I like how it's structured, we get to move around and play different people and I get loads of tips from the coordinator that are really helpful. "I think the cost is also really good value at £1.50 per session." There are No String Badminton sessions all across Derbyshire, including Alfreton, Chesterfield, Derby, Etwall and Glossop.